Some people have been asking us about Tom's family. As wired as Japan is, Tom's family is not. They seem to have cell phones but don't text much and I don't recall any Internet access in their homes at all. 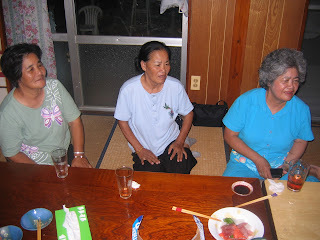 Tom's mother, Masako (pictured below), has been in touch with most of family living on Okinawa, but no one has talked to family living on the mainland. From what we understand, they are most likely in or near Tokyo. 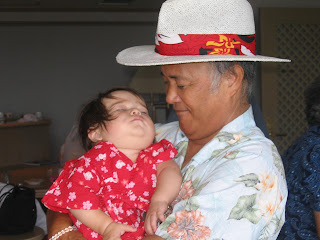 The photo of Uncle Zenki holding Ava was taken during a delay returning to the states because of a typhoon.You can almost see in the background that our stuff is piled everywhere. I can't imagine winds stronger than we experienced then. When we tried first to go to the airport, a hotel employee held Mason's shoulders to keep him from blowing away. The devastation from the recent storm is incomprehensible to me. 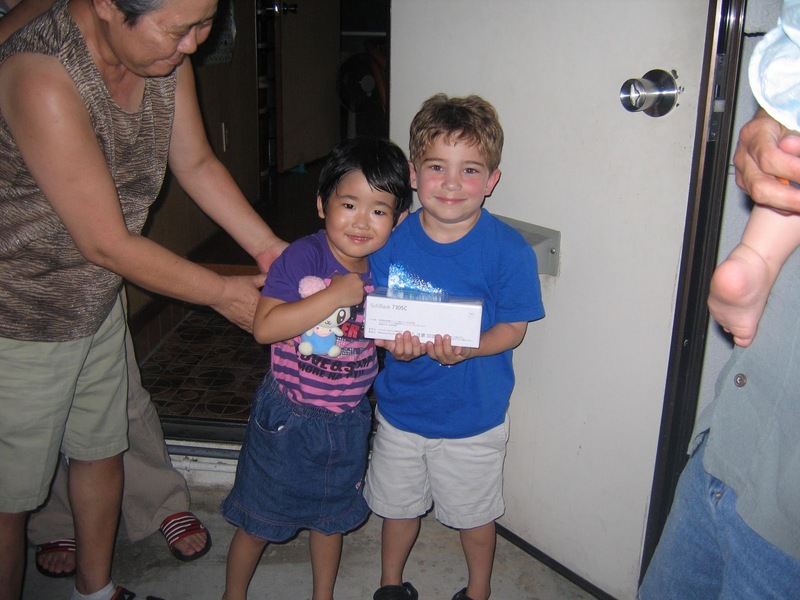 Mason met a cousin while he was there. Neither spoke each other's language but they managed to play with small toys and share dinner. This is the first time we've filtered news about a terrible event into Mason's little boy world. He worried about everyone but expressed special worry about this little girl.